The D'Addario Prelude Cello A Strings are solid steel core strings, unaffected by temperature and humidity changes, with a precise bow response. Prelude strings have the warmest sound available in an economy, solid steel core string design. 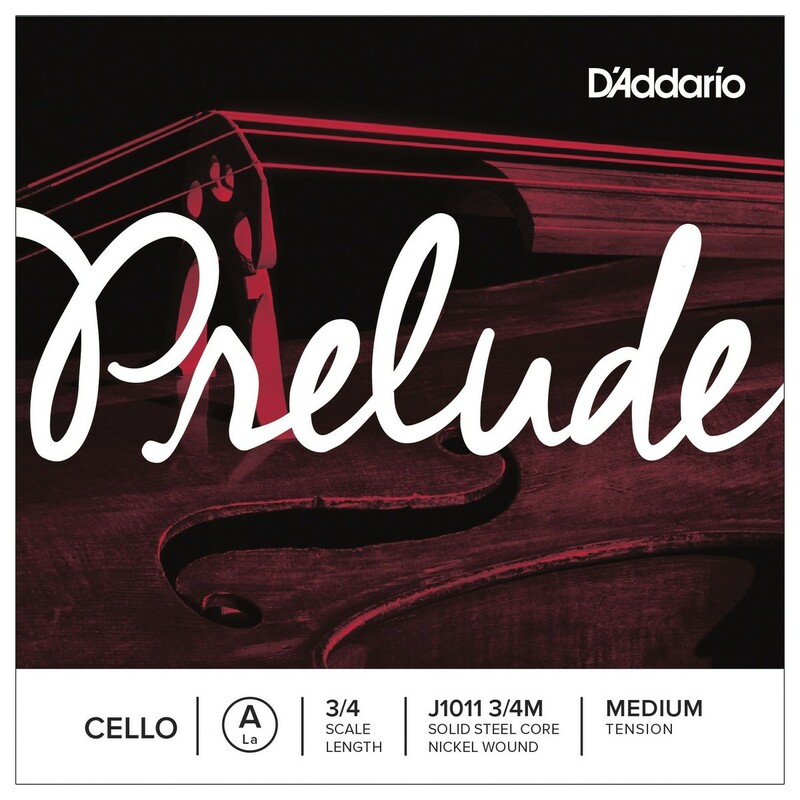 Prelude strings have the warmest sound available in an economy, solid steel, core string design. Prelude is the educator's preferred choice for student strings due to their unique blend of warm tone, economy, and durability. The 3/4 scale strings are gauged specifically for 3/4 size cello with a playing length of 25 1/2 inches (650mm).